Chief Prosecutor of The Hague suggests both Israel, Hamas could be held responsible for deaths of Arab rioters during clashes with IDF. 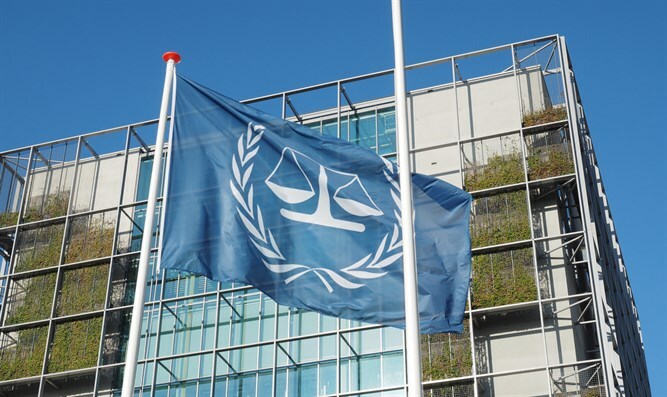 The International Criminal Court at The Hague may prosecute Israel over the deaths of Arab rioters who clashed with IDF forces on the Gaza-Israel frontier over the past week and a half, a top ICC official warned Sunday. Chief Prosecutor for the ICC Fatou Bensouda issued a statement Sunday demanding an end to the use of violence on the border between Israel and Gaza, and suggested that both Israel and the Hamas terror organization could be held responsible for the deaths of some 30 Arab rioters and terrorists killed since activists launched six weeks of violent protests on the frontier on March 30th. Bensouda added that her office had launched a “preliminary” probe ahead of a possible prosecution over the use of force “in Palestine” in recent years. The ICC Chief Prosecutor hinted that her office would examine both Israeli use of force and Hamas use of human shields in Gaza for possible prosecution. of civilian presence for the purpose of shielding military activities." The riots on the Gaza border, which have drawn tens of thousands of protesters, have featured mass-marches to the Israeli border and attempts to scale the security fence and flood into Israeli territory. The violent demonstrations have also featured firebomb attacks and the use of burning tires to block Israeli security personnel. Several terror attacks have also been attempted since the protests began. The IDF has responded with live fire on terrorists threatening Israeli security personnel and any individuals attempting to scale the Israeli security barrier. Gaza health officials claim roughly 30 people have died as a result of the clashes, with almost 3,000 more wounded. IDF officials say at least 12 of the dead have been identified as Hamas terrorists, and have dismissed claims from the Hamas-ruled Gaza Strip of 3,000 non-fatal casualties caused by live-fire.